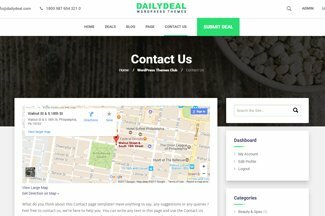 Create deals management website in minutes, on your own. Create a deal website that looks gorgeous on any device it is viewed on. 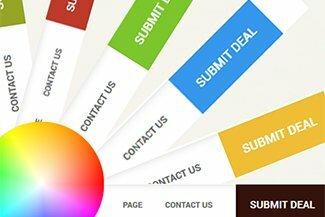 In the responsive WP Deal theme everything revolves around you – the admin. Once users, i.e. other sellers post their deals their job is done. The money made by selling those discount coupon deals first goes to you. This is to avoid people getting scammed on your site. After receiving the money the admin must forward it to the sellers. Since this part isn’t tracked by the theme you can use any method you want – even cash. Of course, before you pay out the sellers you’ll calculate and keep your commission. This is also up to you. The commission can be 10% or 70% – totally your call. Considering deal sites tend to be high in traffic we recommend earning some extra money by selling ad space. To make it happen just use the built-in advertisement widget. Not so funky menus!! We have enriched this theme with centralised menu, where the logo and menu appears in the middle of header, this will give a quick experience to your users. 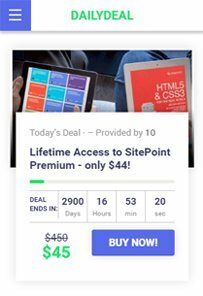 Progressbar on deals to show the ratings and popularity of deal on your site. Like this you can display the best deals from around the website with the easiest way possible. 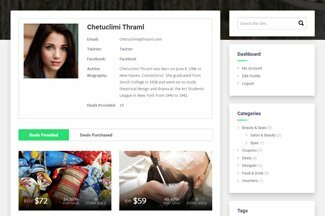 Beautifuly designed social share on each coupon, deal or blog post make it very easy for your customers to share your posts and offers effortlessly. 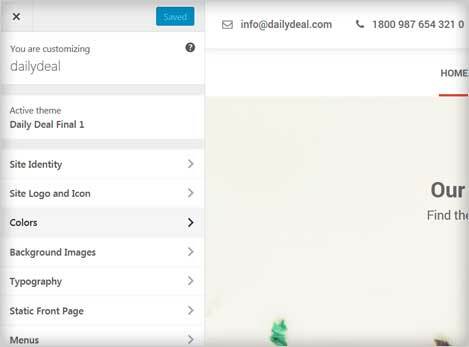 Intuitive and modern designed submit deals & coupons, as the Upload deal button is available right at the homepage header, where the users can notice it instantly. This feature helps you create YouTube like websites quickly and easily. You choose the way in which the deals are listed on a deal category page. 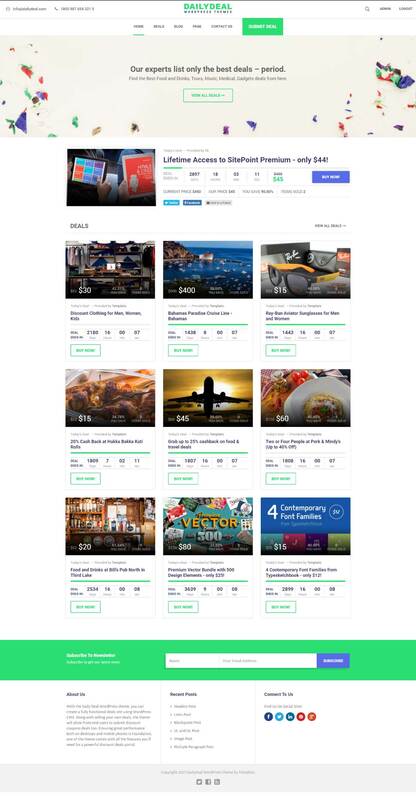 You can opt for the list view or the grid view to display the deals on deal page. Moreover, show other useful links, categories, tags, subscription form, image gallery, etc. in the sidebar for maximum exposure. 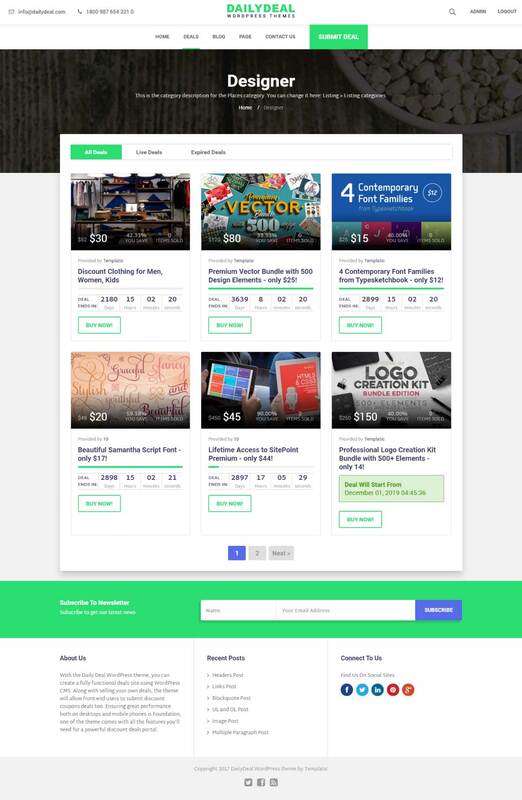 You can also list deals without sidebar, where the deals will be listed over the full width of the screen. 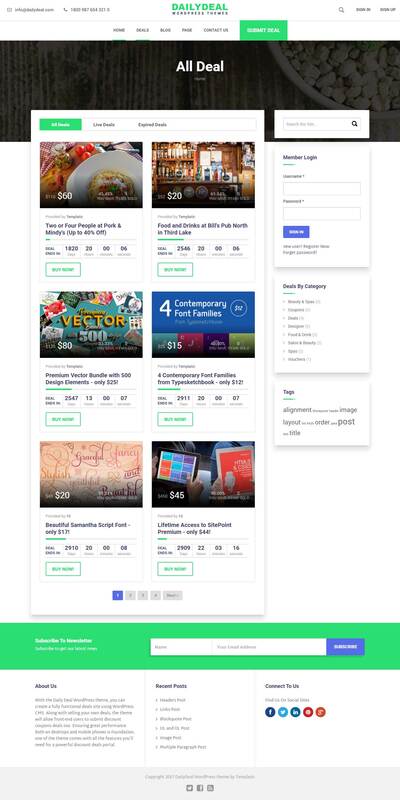 You can choose this kind of display if you do not have much to show in the sidebar and you want to display more deals on the screen at once. WP Deal is awesome because of different coupon & deal types and few combo of them. So choose print coupon, affiliate link coupon or code coupon. Mix them with affiliate links. You can choose paid deals or affiliate deals. And that is not all, you can also set timeleft and items left based deals. 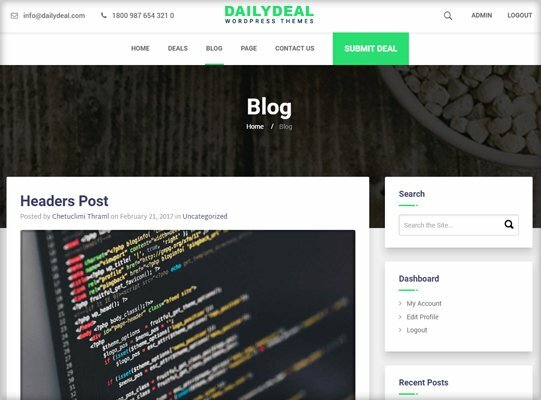 Working with Deal WordPress theme is so easy. The back end options to adjust the theme’s appearance and features are all intuitive and well-organized. Personalize your website using the customization settings. The theme options will let you adjust the features, activate/deactivate services, and set your web pages. This Deal theme has been tested with world popular WPML plugin. 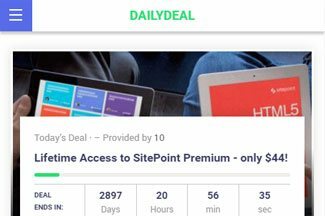 This is the perfect plugin for creating multilingual deal websites. You can of course translate the theme into another language with the provided .PO and .MO files. We understand how important it is to be noticed. Therefore, the deal theme is completely search engine optimized. It’s code was built with SEO in mind. 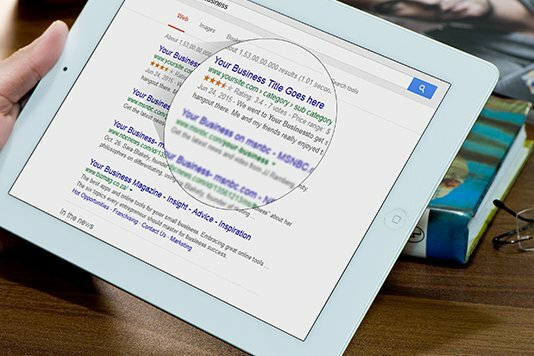 For the SEO of your pages, posts and content you add, you can use any of the popular free SEO plugins such as Yoast SEO, All In One SEO, Google XML Sitemaps and All In One Schema.org Rich Snippets. For the deals on your website, the theme comes with numerous features. The theme is designed to retain the deal resolution to provide the best user experience. Create a website that is easy to search using the search features and the hierarchical categorization. Split payment transaction for dividing a single or full amount of payment in two or more transactions. i.e Deal amount shared between site admin and deal owner. When the users select a deal category, the category page for the selected subject will open. 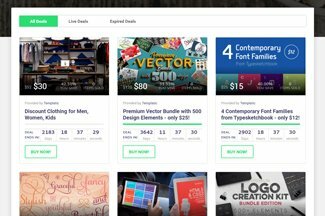 The category page will list all the deals falling under the chosen category. You can choose the category page style too. Fully integrated PayPal, Authorize.net, Worldpay, 2Checkout, Google Checkout, Pre Bank Transfer and Ideal payment gateways which means you can charge for each offer submitted. 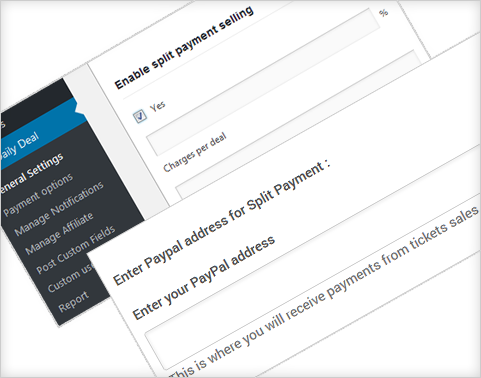 Beside that you can send due payments to your customers all at once or you can make single payments. 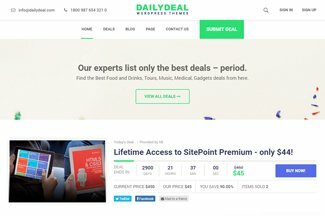 Redesign your WordPress Deals website. With the options available at the backend, you can change how your website looks. 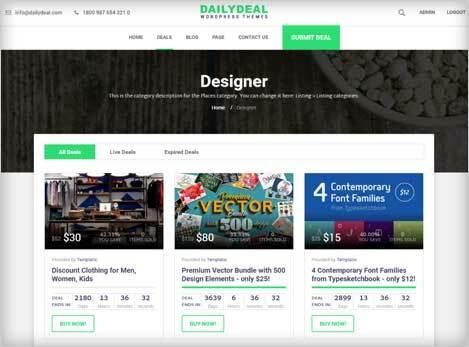 Use WordPress and the WP Deal theme to create your very own discount deals and coupons website. 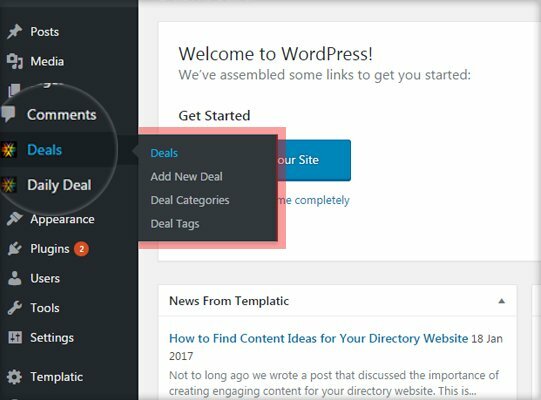 WP Deal comes with its own “deal” post type to let you create a professional and fully functional deals portal. 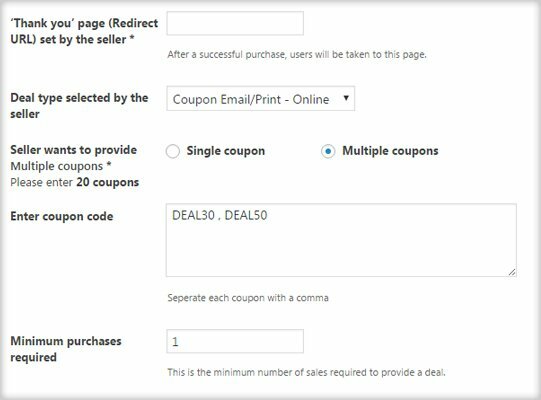 Using the “Submit Deal” form, registered users can submit a coupon deal on your site. What’s more, you (admin) have full control over the submission form fields. You can add more fields to the form too if you like. Customizing the homepage is easy as drag n’ drop, literally. Widgets allow you to populate the homepage of your deals site with various content while still preserving that clean and modern look. As admin, you can control the default status of discount deals submissions. It’s in your power to confirm or reject any deal submitted on your deals website. Fields available inside the deal submission form can have new fields added to the form so you can customize the theme to match your deals website. 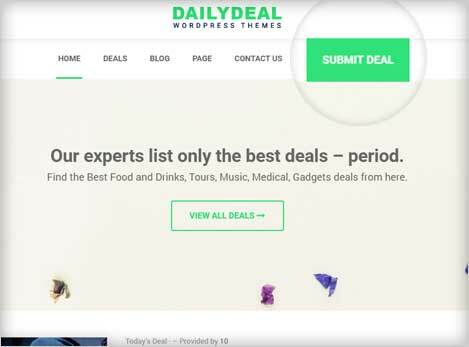 The WP Deal theme includes several types of deals which include: Custom (affiliate) type deal where the Buy Now button is linked to an external link, a digital deal and a coupon deal. 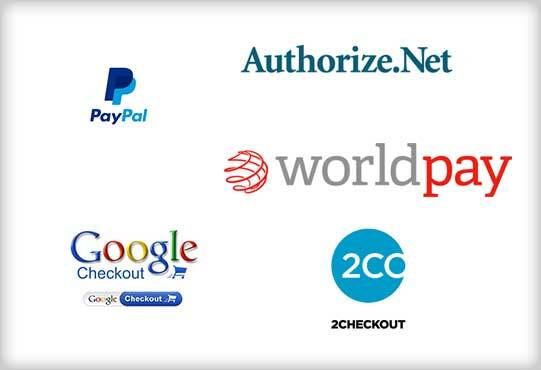 Available gateways include: PayPal, Google Checkout, Authorize.net, WorldPay, 2Checkout. Offline payment methods (cash and PreBank) are also included. 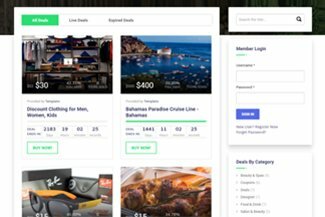 Add affiliates can also showcase your products on their sites. Use the affiliate back-end to stay in control of things with the sales reports. This theme also comes with its own built-in blog. This is useful if you need to also have a blog on your website. No need to look for plugins or other themes just to have a blog. 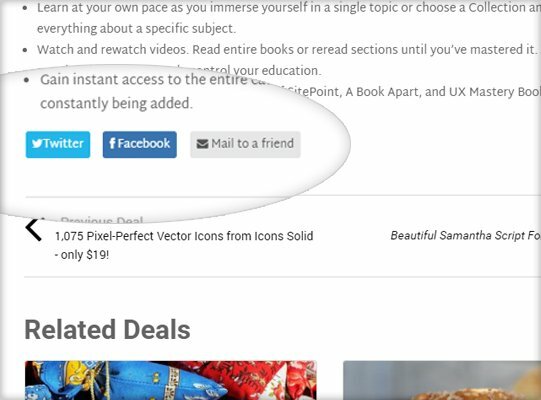 This premium coupon WordPress theme also comes with editable email notifications. Messages are sent to admin, seller and buyer with every purchased deal. Searching for a deal mades easy with search which is provided with the theme. Enable/disable user registrations. 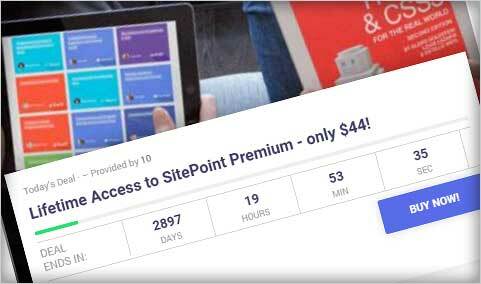 Easily manage users and their deals from wp-admin. Deal features social media integration that will help you get traffic and increase your views. 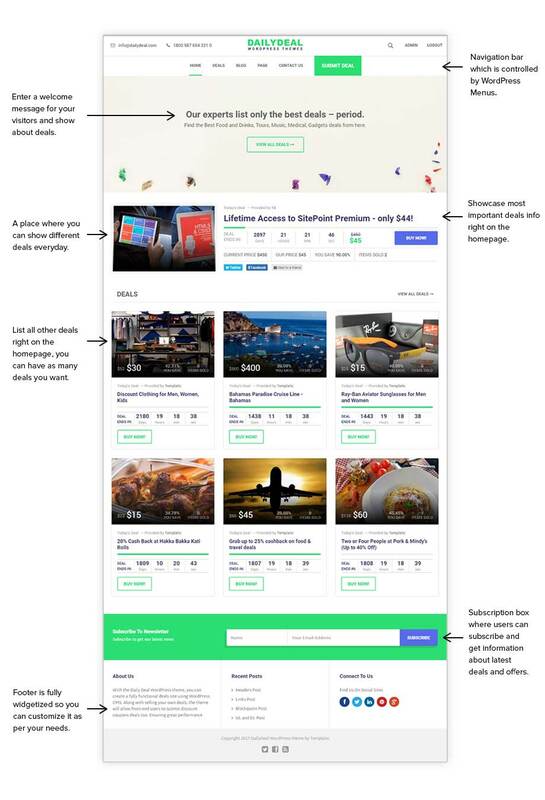 We’ve included different post and Deal layouts, so you can choose how to structure your content. 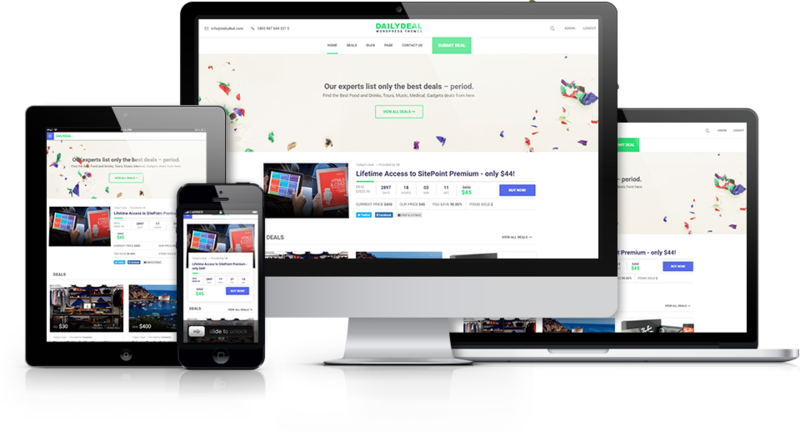 Deal is ready for search engines and optimized to help you rank higher and get more visitors. 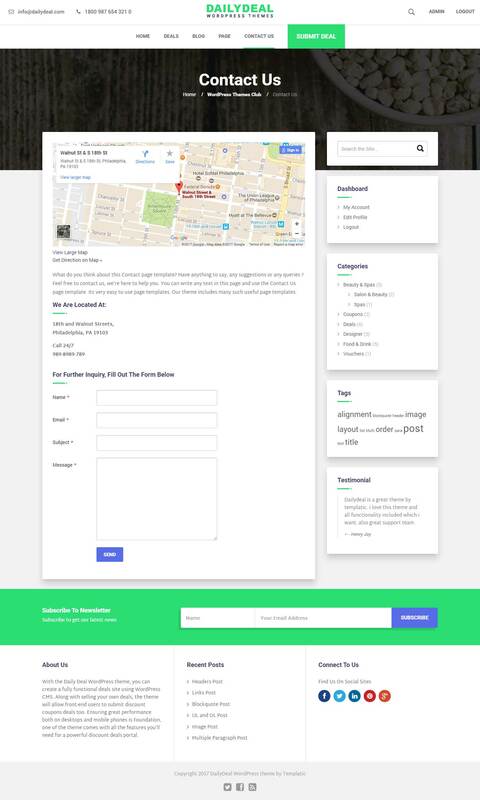 Deal theme comes with documentation that will help you understand all the features of the theme. We have been with templatic for quite a few years now. I love the great functionality that their product brings, Support has been greate. I highly recommend templatic for their products and the after purchase services they provide. Yes, We do provide One Click Easy Install using which your deals website is ready with content allowing you to setup the theme quickly. How does the admin make money with WP Deal? There are two ways for the admin to make money. The first is rather passive; by selling ad space. The second one is by selling the actual deals. WP Deal is structured so that all the money first goes to you – the admin. Once a deal is finished it is your job to forward it to the other parties. This part is done off-site so you can distribute the money however best suits you. 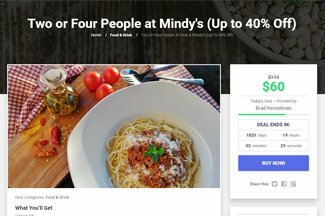 Are coupon codes generated automatically? Yes and no. 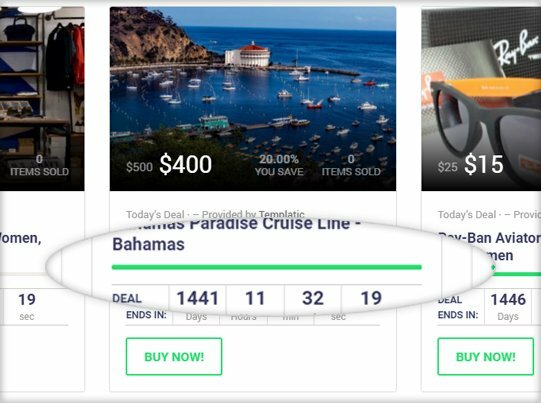 While creating a coupon-type deal you get to choose whether to use one coupon code for all payments or unique codes for each purchase. If you select the second option (unique codes) you need to enter the same number of codes as set in the “Max number of purchases” field. This part is of course manual, however if you leave the field empty the theme will generate the required number of codes for you. 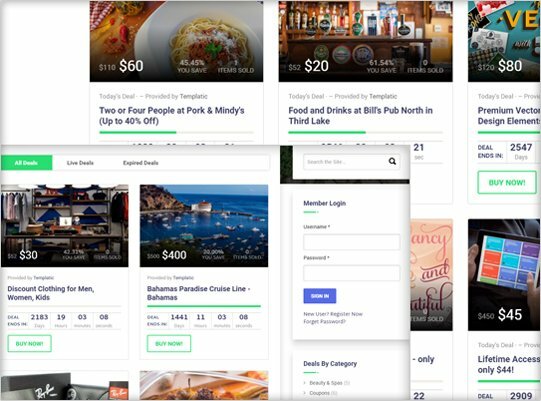 Does WP Deal work with multiple cities? No, it doesn’t, there is no multi-city functionality included. That said, nothing is stopping you from creating a MultiSite environment and creating a sub-site (running WP Deal) for each city. 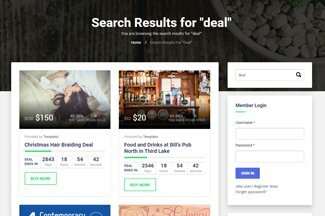 Can visitors manage the deal they submitted? Once visitors register to the site they gain access to the front-end user dashboard. From that dashboard they can manage their website profile and manage all the content they published. 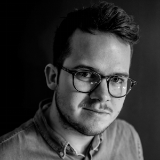 You (admin) can manage all listings from the WordPress back-end section. 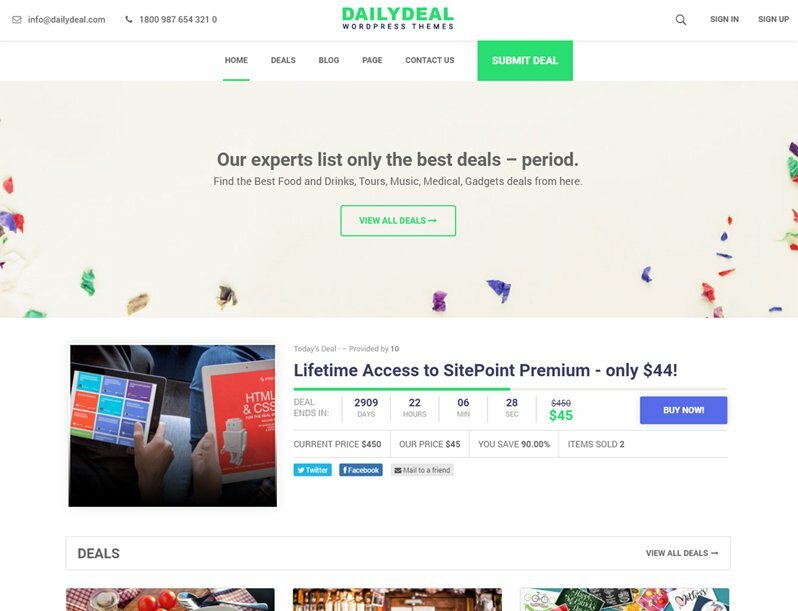 The WP Deals coupon and deals theme makes creating deals website easier than you can imagine. Save the money that you would have to pay to designers and programmers. 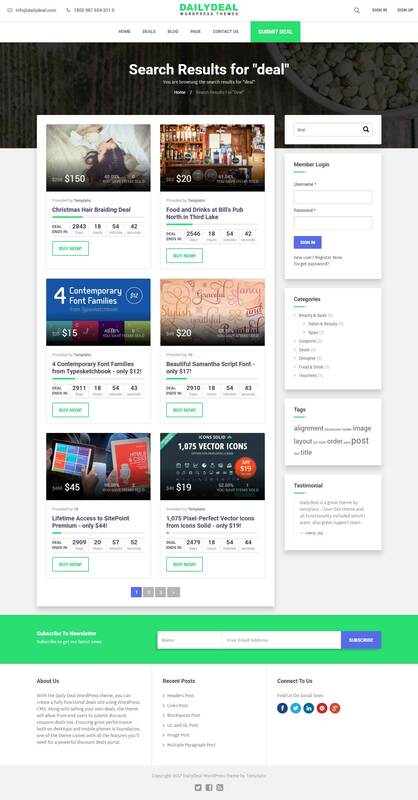 Just grab this theme at the fraction of price and start earning online.